SMYNews: Listen to The African History Network Show, Mondays & Thursdays, 8pm-11pm EST. Listen to The African History Network Show, Mondays & Thursdays, 8pm-11pm EST. 8:00pm-11pm EST on www.BlogTalkRadio.com/TheAfricanHistoryNetworkShow . 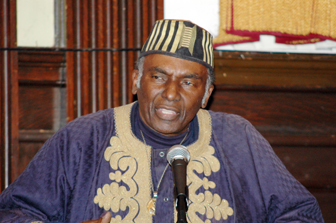 Did you miss our interview with Dr. Leonard Jeffries?